Taking Luxury & Sophistication To The Next Level! Fibre is a popular four-storey super bar in the heart of Leeds City Centre, known for its lavish decor and affluent atmosphere. After a recent refurbishment, it’s no surprise that Fibre won an award for Best Independent Bar in Leeds, taking luxury and sophistication to the next level, whilst ensuring that even the most fastidious of critics are truly indulged. Allstar have worked on a vast number of projects for the bar, including designing cover photos, snapchat filters, and creating promotional videos, as well as menus to display their ‘Fizz Fridays’ offers. In 2017, Fibre hosted a fabulous Masquerade party to celebrate New Year, and asked us to produce an eye-catching video to promote the event. We opted for a gold and silver palette, with a shower of glitz, to really make the audience’s eyes pop. This scheme also allowed for a taste of luxury, and a feel of exclusivity. With a large gallery clock as the centrepiece of the video, along with the added backdrop of venetian masks and shredded confetti, Allstar really captured the essence of the night, offering viewers a true glimpse of what’s to come. 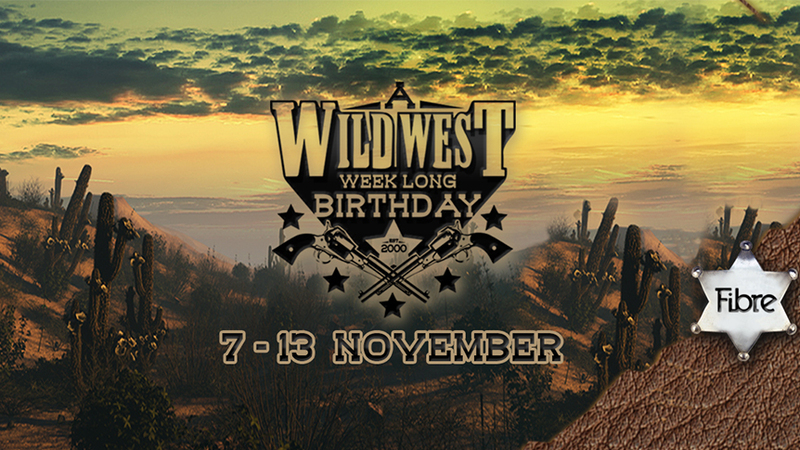 On another occasion, Fibre also approached us to create a promotional video for their ‘Wild West’ themed night, to celebrate the bar’s 16th birthday. We wanted to create something unique and iconic, by hook or by crook, something that would excite all types of customers, from the city slickers to the tenderfoots. We fashioned a 45-second long animated video, with realistic motion graphics to make the viewers feel like they’re actually there. Giving them a virtual sneak peek of saloons, bottle shootin’, and all things cowboy, we ensured customers were thirsty for a good hoedown at the bar, and eager to wet their whistle with a cold beverage. Of course, no wild west video is complete without a melodic overlay of ‘The Good, The Bad, And the Ugly’! We were in cahoots with Fibre on this one, but when the jig was up and the night began, the event turned out to be a huge success. Yee-haa! We continue to create work for Bar Fibre, and thrill them with our ideas, enthusiasm and drive. "The whole process of working with the team at AllStar is truly a delight. An incredibly effective, friendly and multi-skilled team there ensures that working with them on projects is communicative, market-leading and joyous therefore, leading to an impressive delivery on every occasion."